Rhymes with Harriet but with the sound of ‘J’. But what is in a name? Everything. Yes. Everything. Last week my husband returned from the dry cleaner elated because Julie, James and June said they would do anything to help repair his frayed pants because he is one of their “favorite customers.” Why? Well, I suspect it is because he is a really nice guy. Also, he is a good (paying!) customer. But that’s just not enough to make the “favorite customer” mark. The real reason? I truly believe it is because he took (and takes) the time to get to know names. Dry cleaners, doormen, repairmen, crossing guards – you name it: he takes the time to ask their name. Can you even imagine how flattered I am when someone takes the time to not only ask my name but also remember it? I will tell you: it is meaningful. Very. It’s all about the name. Best part? It will cost you nothing. If Renting Is the New Owning, Will I Be Cured of “Stuffocation”? Not the Typical Birthday Present. 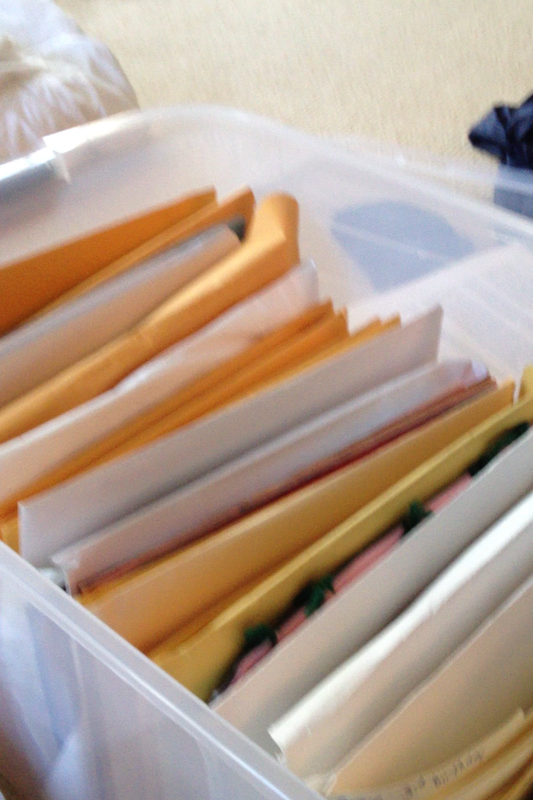 When I turned 40 I got myself a dumpster. Worse, I did it again when I turned 42. Why? Its mere presence in my driveway forced me to literally “clean house” in a short 5 days. Even though I am not much of a shopper, things simply “collect” – I guess it comes with having a family of 7. All of this begs the question: Why buy or even own if I do not have to? Better yet, if I already own it, is there an opportunity to derive revenue from it??! Just look at Patagonia’s new partnership of used gear for sale by Common Threads + eBay members. The Patagonia message is clear “Don’t buy our stuff unless you really need it.” In addition, perhaps the old way of being “showy” [e.g. I have a fancy watch therefore I am successful and you can see it] to the new way of being “showy” [e.g.here’s my Facebook post: look where I traveled to this year and look what I did!] 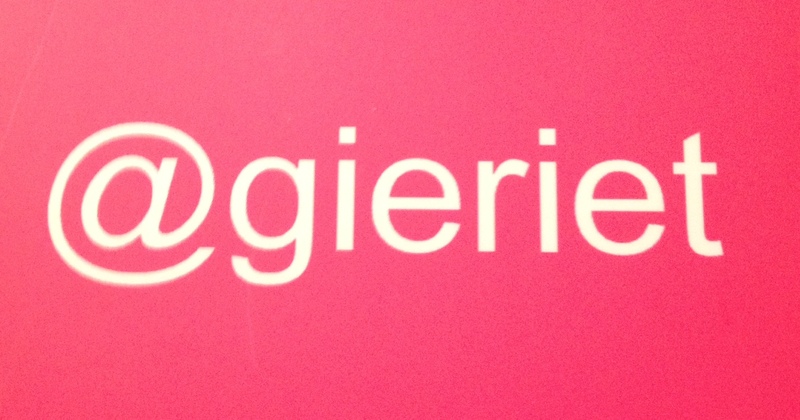 has solidified the need of experiences over stuff. This year I turn 50. Will I finally find a cure to “stuffocation”? Maybe I’ll start looking at everything in my home with new eyes. 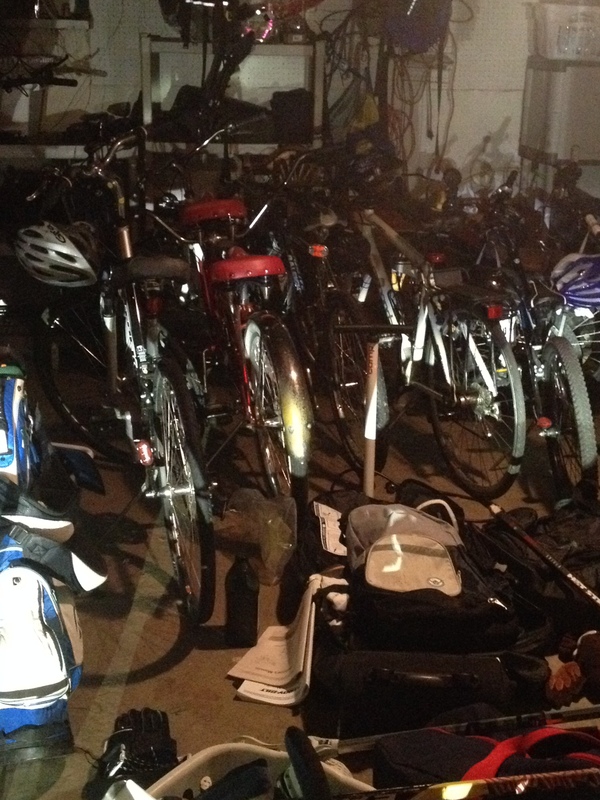 Tandem in the garage…can I rent it out? Or will it be more work to manage that? Give, toss, sell or keep. 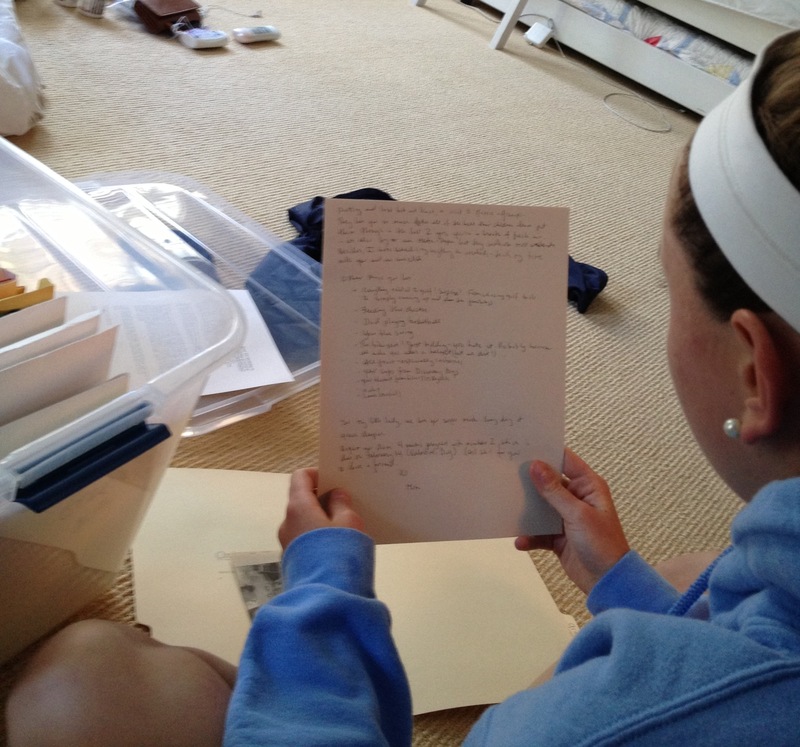 Give, toss, sell, keep…or rent out and earn?! It is 7:00pm. Who is minding my children? Monday, November 4, at 7:00 p.m.
Wednesday, November 6, at 7:00 p.m.
How on earth did we get to the point whereby working moms, “stay at home” moms, working dads, “stay at home” dads are asked to be somewhere on school nights at 7:00pm? As if jobs, school, sports, and extra-curricular carpooling are not enough, we are being “asked” or “invited” to evening “opportunities” out of the home. In no way am I suggesting that the 7:00pm meetings and opportunities are not meaningful or important…it’s just that I am scratching my head. Why? Because I am a rule follower and it’s hard for me to not “do the right thing.” When someone tells me that I should come hear a great speaker on successful parenting that the school is sponsoring…well, I should do it. 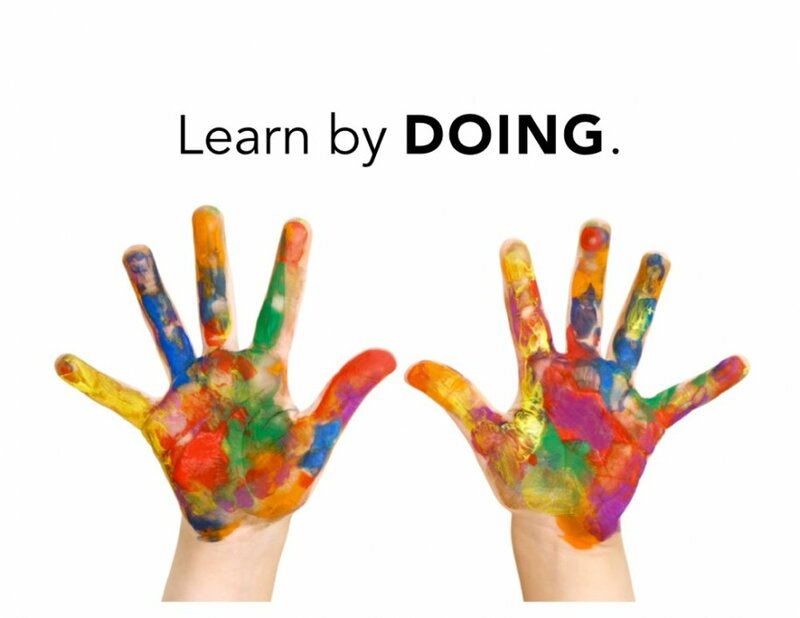 It’s “what you do” as part of being a good and supportive parent; it’s “what you do” to be part of the school community. This year: enough head scratching. I am not going. Sorry. I happen to be incredibly lucky: there are fantastic schools in our neighborhood; more importantly, the administrators, school boards, etc. are not only super-qualified but also really nice people and often friends of mine. But I can’t do it any more. I need to be home. That’s where I should be. So should my husband. He should be home. That’s where I am most valued. That’s where he is most valued. Have YOU Ever Gotten a Retreat From Tory Burch? Several months ago I woke up to this text. Oh my goodness? Did I win some sort of contest?! 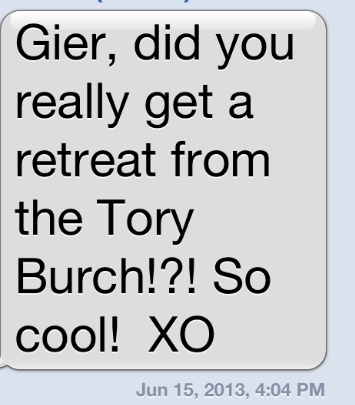 Did my husband surprise me and give me a retreat weekend with Tory Burch, a woman whose business acumen I really admire?! How thoughtful. [Frankly, I didn’t even realize there was a Tory Burch retreat for businesswomen or mothers.] I happen to be fairly impressed by Tory Burch the brand. The woman, too. She built a very successful company and, since its inception in 2004, she has not only built a desired and recognized brand but also become a millionaire in the process. Her former husband and business partner, Chris Burch, recently launched C. Wonder in New York and is trying his hand at building a brand without her. 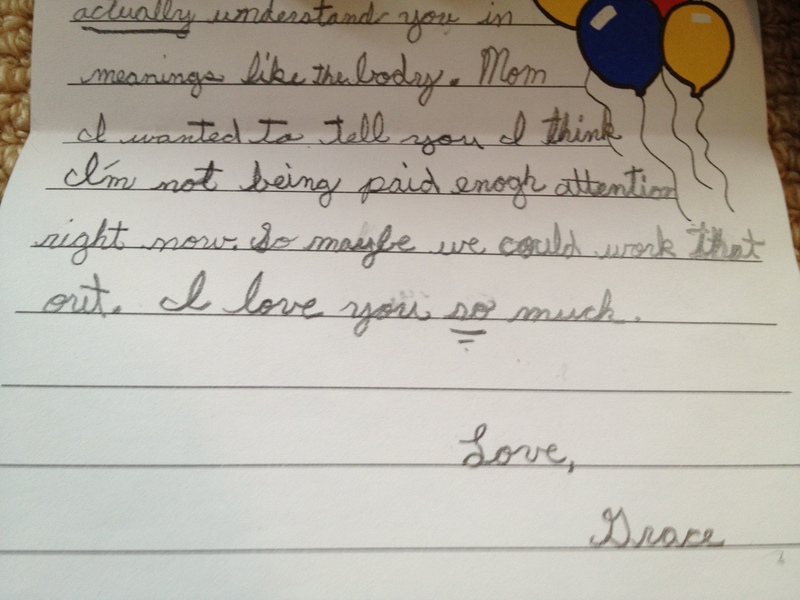 Between prior marriages, they have a combined six children…and unfortunately a very messy divorce. The day prior to receiving the aforementioned text I was sitting in the airport reading the Wall Street Journal waiting for a flight departure. 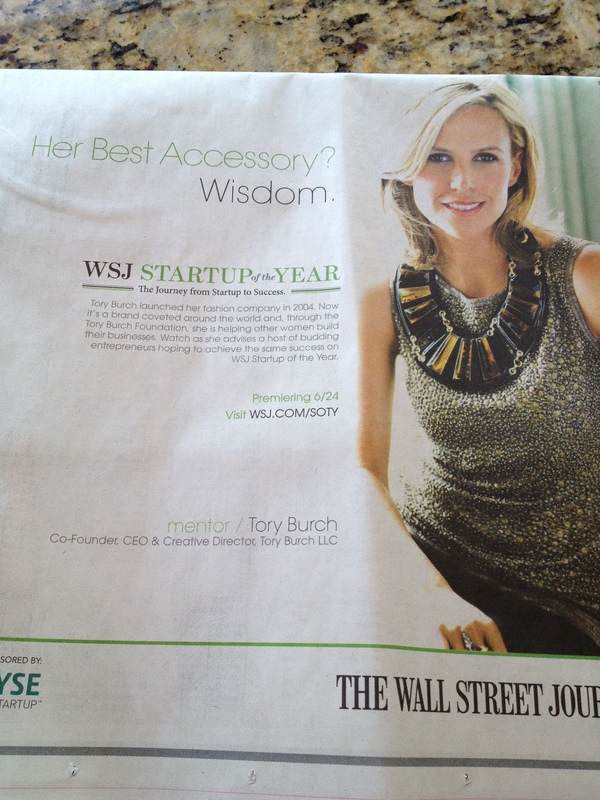 When I turned the page I saw a full-page highlight of Tory Burch, WSJ Startup of the Year (“SOTY”). I didn’t realize it at the time, but the WSJ was beginning to feature startups and chose to highlight various entrepreneurs and mentors. Clearly Tory Burch was on my mind. After hours of trying to figure out the ‘surprise’ I burst out laughing!! I laughed to myself. I guess I should have been “happy” that Tory Burch “retweeted me” but to be honest – I was merely doing what I like to do: celebrating others’ success. In observing on and offline behavior I mostly look for beauty. Beauty in good times – but also in bad times. There’s beauty all around us – you just need to look for it. In reading about Tory Burch and tweeting a picture of the WSJ/SOTY feature, I was merely trying to celebrate and share one woman’s success. I know that her success has come with a price – but isn’t she like any other female (or male) in the world: trying to figure it all out? Cute that my friend called a RT “‘cool”. I think it’s much cooler, though, celebrating success and knowing that each woman (and man) out there shares a common bond: we are all doing the best we can! That’s cool.